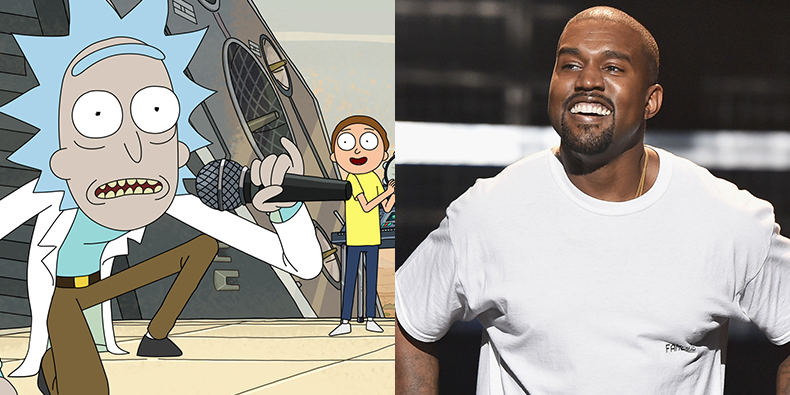 Today marks Kanye West’s 41st birthday, and in celebration, his wife Kim Kardashian West has commissioned an unusual birthday card: an original song written and recorded by the titular characters of Adult Swim’s “Rick and Morty.” Kanye has previously expressed his great love of the show. The appropriately titled “Kanye’s B-Day Song” features series co-creator and Rick/Morty voice actor Justin Roiland singing about sneaking into Kanye’s bedroom at night. Check that out below. Earlier today, Kanye dropped Kids See Ghosts, his collaborative project with Kid Cudi.